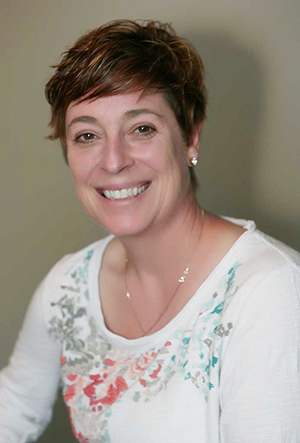 Penny has been a practicing Occupational Therapist for over 20 years and has extensive training. She works with children and adults, and has experience working with children who have been diagnosed with Autism, ADHD, sensory processing disorder, and learning disabilities. Penny feels she has been fortunate to have gained experience working at some of Canada’s most renowned research hospitals, such as The Hospital for Sick Children, in Toronto. While at the Niagara Children’s Centre, in her early years of practice, Penny designed and developed a program for children diagnosed with autism, which is still being used today. She was also an instructor in the Rehabilitation Medicine program at the University of Western Ontario. When Penny moved back to Bruce County, she worked for many years as the O.T. in our community schools. From that experience, she has a keen understanding of the challenges that families face when their child is struggling at school. Penny has a real heartfelt passion to help kids manage their anxiety, and give them strategies to excel at school. She also has a keen interest in Neurofeedback/Biofeedback, and has been trained by two globally respected doctors who specialize in this field. These techniques are extremely effective in helping children learn self regulation, which allows them to focus and attend at school. Penny is the occupational therapist in a Family Health team. In this position, she works alongside family physicians providing consultation and therapy to people of all ages. Penny loves calling Port Elgin home, where she lives with her husband and son. Oh, and don’t forget their Golden Retriever, Chyna!